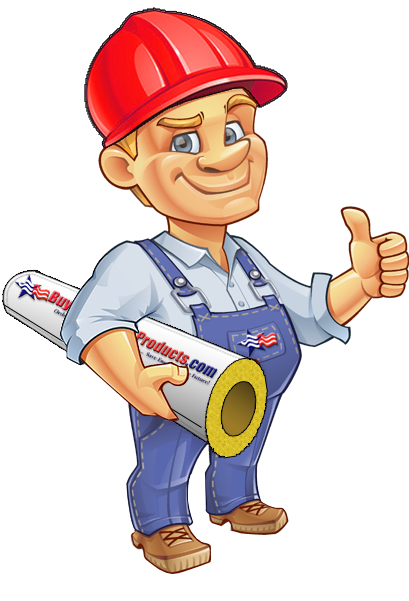 4" Thick Rigid Mineral Wool Insulation Boards are used as both acoustical and thermal insulation panels. The 4" thickness provides both excellent sound absorption (NRC 1.10) and thermal insulation (R Value: 16.8) which makes this a very popular product in both the acoustical field as well as the industrial insulation industry. This product is sold in boxes of 3 panels which are 4" thick and have panel dimensions of 24" x 48". As the Acoustical Performance Chart listed below shows, the 4" Mineral Wool Panels are superior in sound absorption across the frequency spectrum. 4" Mineral Wool Panels absorb low, mid, and high frequencies which allows these panels to be made into bass traps (low frequencies) as well as Multi-Band Absorbers (all frequencies). 4" Mineral Wool Acoustical Panels are the preferred core material for Bass Traps. The mineral wool insulation is installed inside a frame and wrapped with acoustical fabric and placed in the back corners or back wall of a home theater, sound studio, media room, etc. Panel Size: 24" x 48"
*If you would like to place a large order (over 4 boxes) please go to our Bulk Quantity Product which offers reduced shipping rates. Why spend lots of money buying a bass trap. Just buy Roxul, a bass trap frame and some fabric. Save 90% with the same results. I have Tall wicker planters in one of my audio rooms. The pot in the planter only sits down in them so far, leaving 2ft by 1ft by 1ft of empty open space. Filled the empty space with the Roxul wrapped in fabric. Now I have what I call Traplanters! Have Bass Trap half Planter that look great and work great!! Click the button below to add the 4" Thick 4# Mineral Wool Acoustical Board to your wish list.